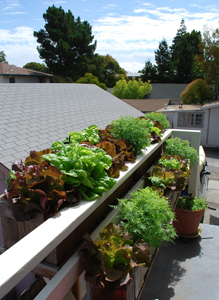 –the Balcony Farm is Here! Growing vegetables in containers can be just as easy as growing vegetables in soil, if you know how to work around the limitations of container gardening. 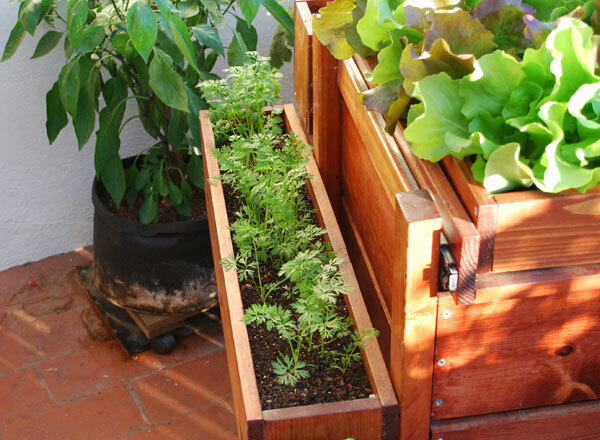 Convenience Container vegetable gardens are right outside your door, footsteps away from your kitchen. 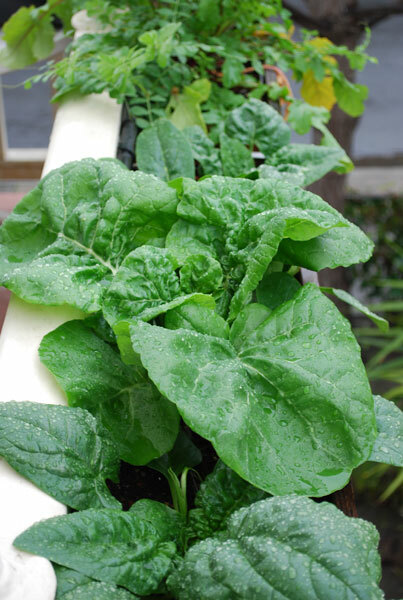 Need a few leaves of spinach or lettuce for a salad or a sandwich? 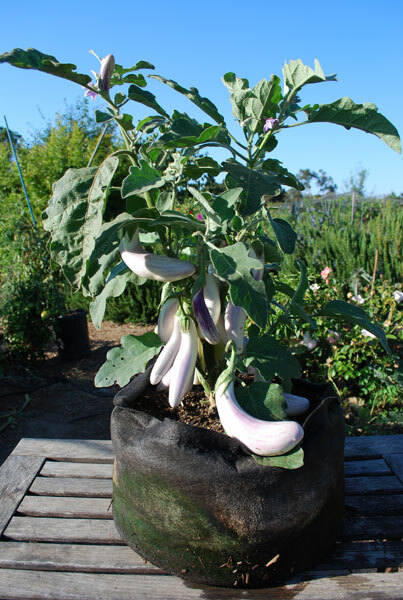 Slip out your door, and clip them right off the plant. 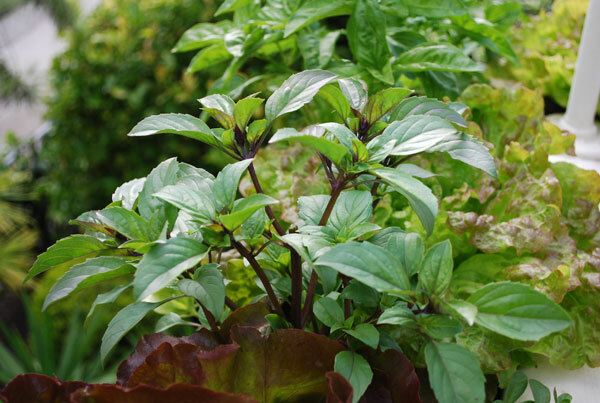 Need a little basil, thyme, or oregano for a pasta dish? 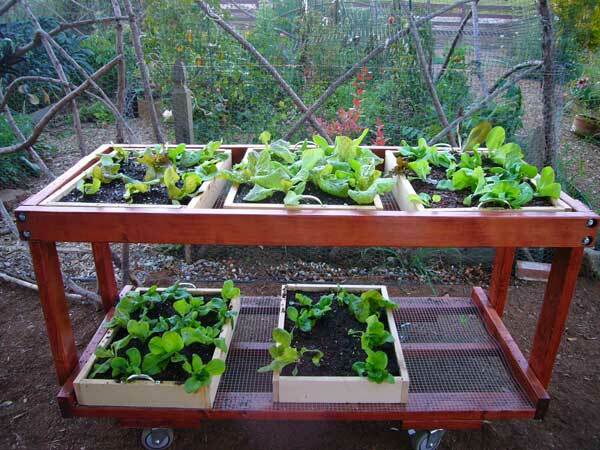 Skip the trip to the store, walk a few steps, and pinch off whatever you need. 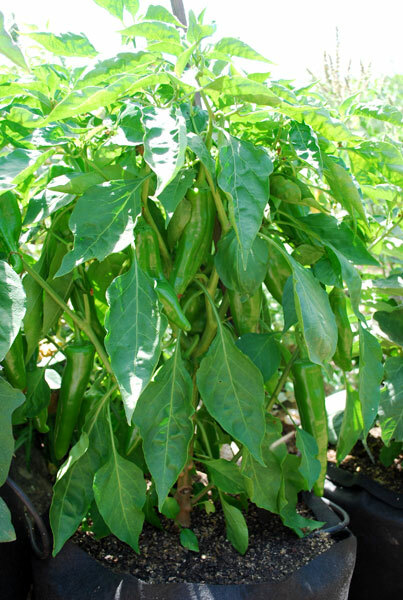 Freshness You can’t get any fresher than right off the plant. 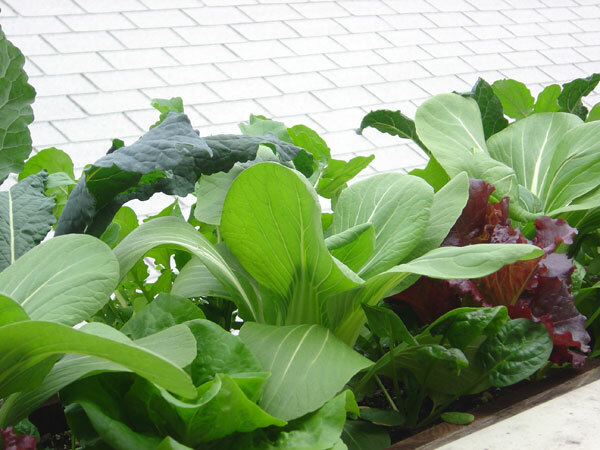 When growing vegetables in pots or window boxes, you can harvest leafy vegetables as needed. 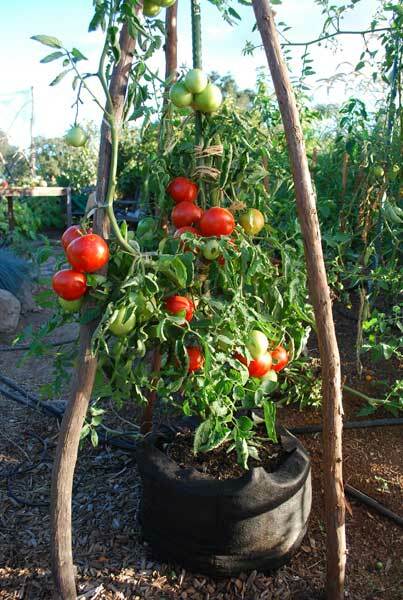 If you’re growing tomatoes in containers, you can wait till the tomatoes are falling-off-the-vine ripe, for a treat you can’t even find in farmers markets. 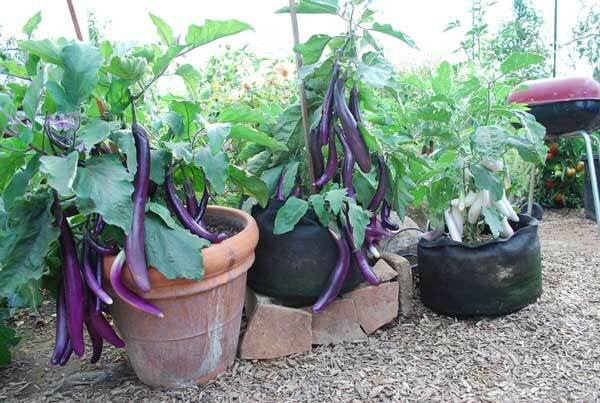 Fogey Ergonomics When you’re growing vegetables in containers, there’s less bending and stooping than in a conventional garden. 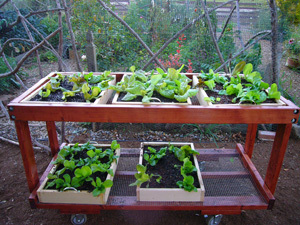 Window boxes and Salad Tables are at waist height. 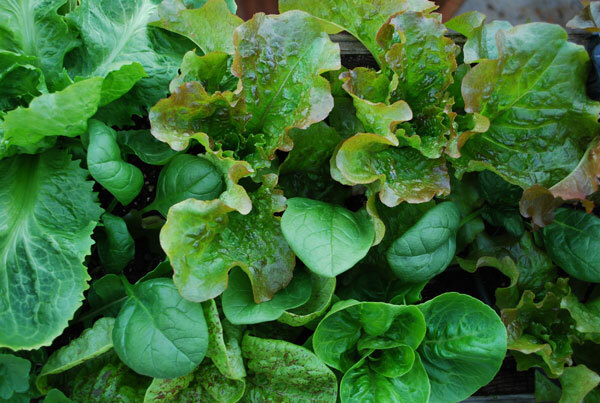 Whether you’re harvesting leaves for a salad, mixing soils, or planting seedlings, everything is accomplished with small movements from the waist, within the natural reach of your arms. 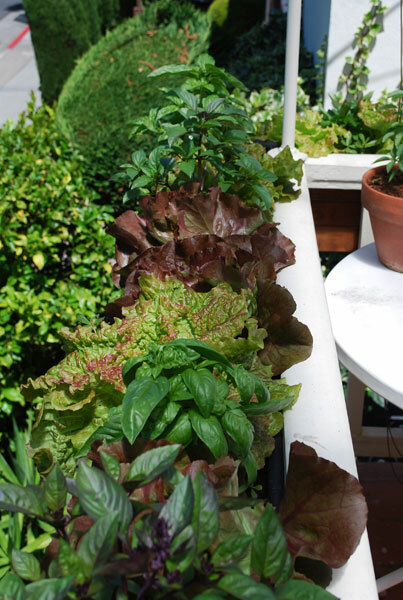 A potted vegetable garden can be boosted up on plant stands or benches to make the pots more accessible—and add vertical flair to your balcony farm. 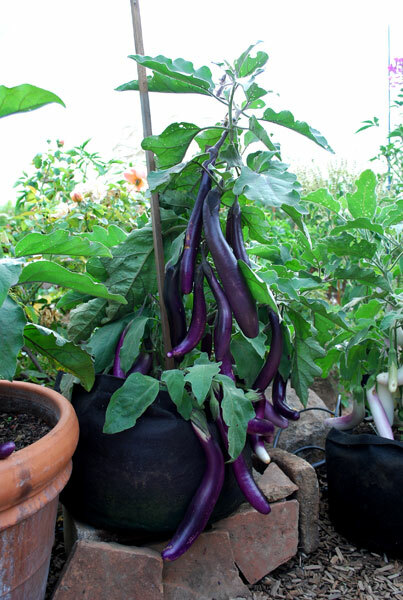 Beauty Container vegetable gardens are beautiful, not just bountiful. 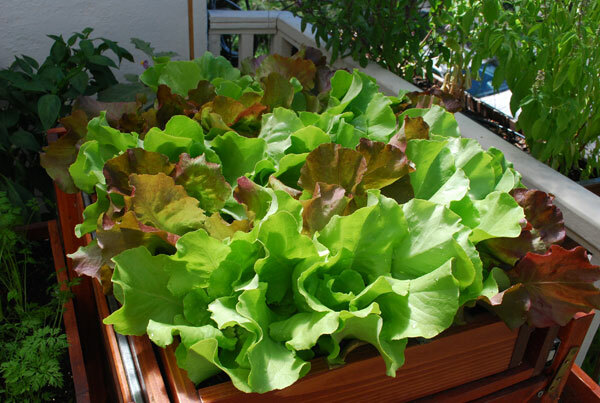 Green, leafy lettuces, red tomatoes, and deep purple eggplants delight the eye and add interest to any apartment balcony or deck. 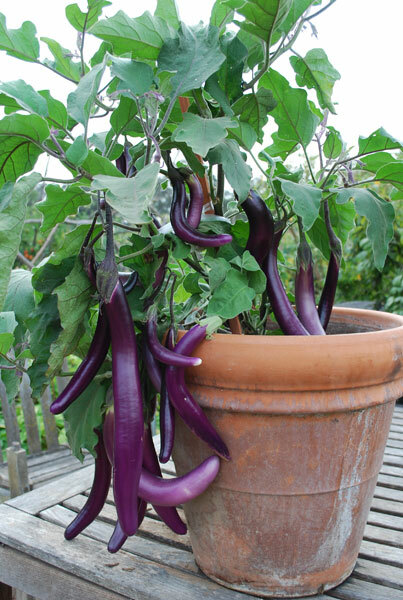 Growing vegetables in pots or window boxes expands the range of color and form available to container gardeners. All good. What’s the catch? 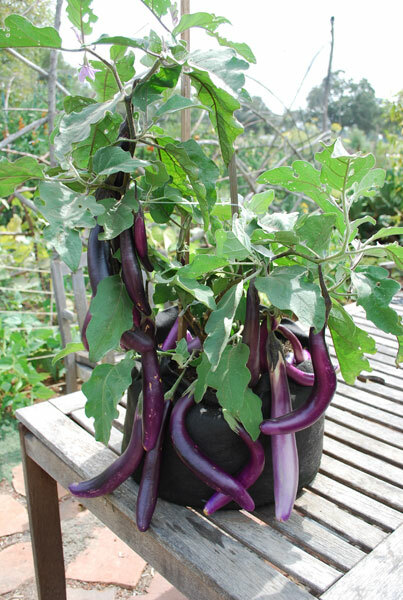 Watering is by far the biggest concern when growing vegetables in containers. 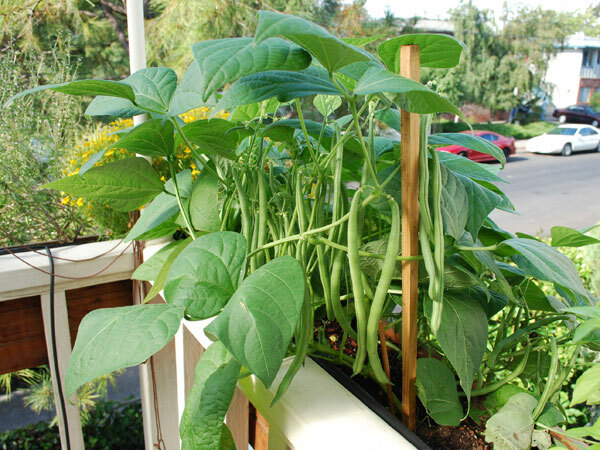 Container vegetable gardens have limited root zones, so they need frequent watering—sometimes twice a day in hot weather, or on balconies exposed to lots of sun or drying winds. 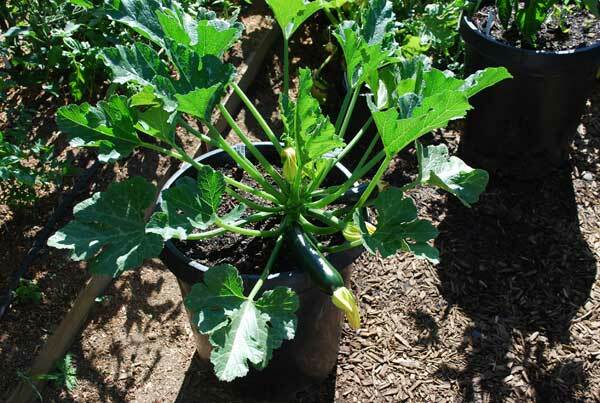 Automatic drip irrigation systems are the best solution for watering container gardens, especially large ones, but there are many ways to reduce watering needs.